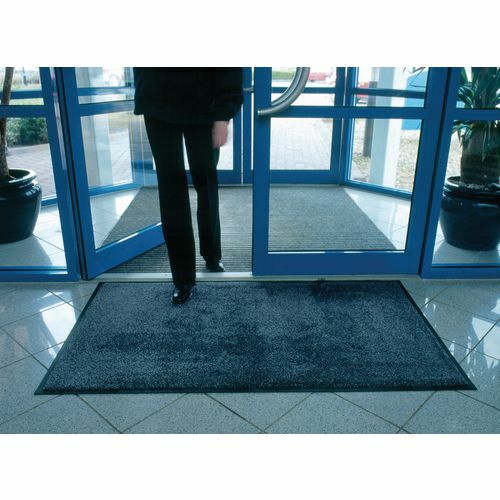 Machine washable entrance mat, can be washed in domestic washing machines at 60°C. Traps up to 90% of tracked-in-dirt, moisture, grit and grease. Supplied in bleach and fade resistant colours. Slip resistant nitrile rubber backing.